Want To Better Understand The True Costs Cause By Spreadsheets When Used To Manage Training And Compliance Programs? If So, This Article Is For You. Spreadsheets come readily available on your corporate computer and may seem like the most economical option to manage training and compliance programs and track employee training records. After all, the cost of spreadsheets seems reasonable, since they are packaged with the office software you’ve already purchased for the computer. However, the true costs are hidden within the spreadsheet's limitations, such as, error prone manual tasks and time consuming rote processes. 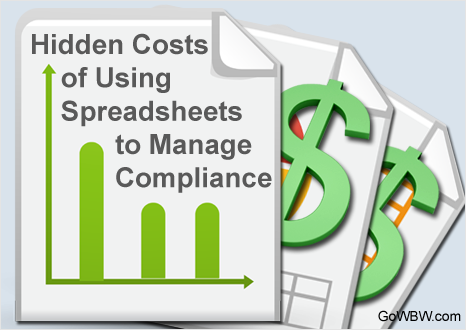 The article explains the hidden costs and time expenditures caused by spreadsheet misuse.